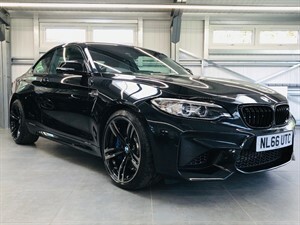 It gives us great pleasure to announce the arrival of our absolutely stunning BMW M2 DCT. This is, without doubt, one of the best cars that we have been fortunate enough to have in stock. It is quite literally as new and even still has the protective film on the sills. Manufacturers warranty until Nov 2019. Please call us now on 01256 764777 for more information or to arrange a private viewing. BY APPOINTMENT ONLY. A stunning example finished in Alpine White with contrasting Fox Red Leather interior. 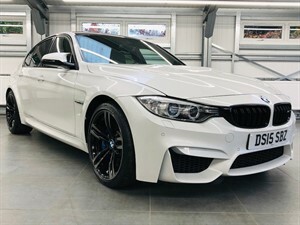 Factory Competition Pack with M Performance grille/spoiler and unmarked 19" Competition Alloys finished in Anthracite Grey with brand new tyres all round. 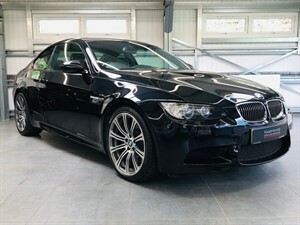 Complete with a Full BMW service history - last serviced just 3,000 miles ago and just 3 owners from new. Please call us on 01256 764777 for more information or to register your interest. 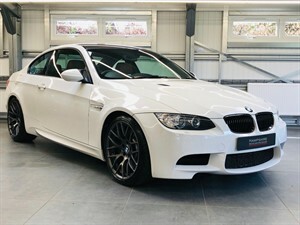 We are pleased to announce the arrival of this stunning and original BMW M3 presented in Carbon Black metallic with unmarked Black Leather interior. 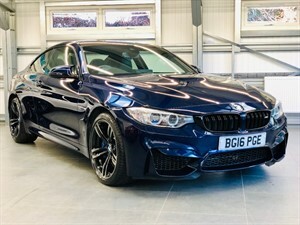 Features include Satellite Navigation, Bluetooth, Heated Seats, Xenon headlamps with upgraded LED daytime running lights, Unmarked 19" alloys with a full matching set of Pirelli P-Zero tyres and much more. It you are looking for a near perfect example of this iconic sports car then look no further. Please get in touch for more information. Viewing available by appointment 7 days a week.